Egur Egur is in its second season on the Bansko restaurant scene. Those who need vegetarian options or whose palate is simply tired will be overjoyed that Egur Egur, an Armenian restaurant is here. 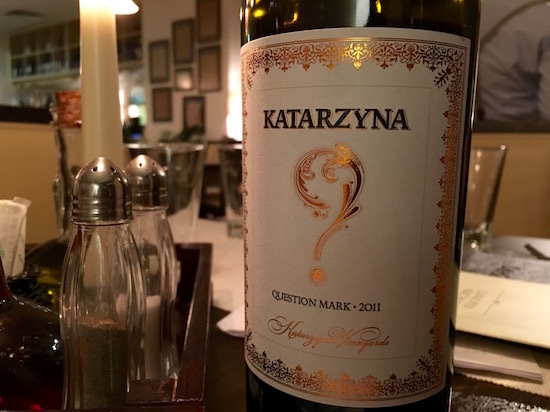 It is a popular choice in Sofia and Sozopol and you’ll see Sofia regulars who weekend in Bansko here on a Friday and Saturday nights as well as Sunday lunch, which is when we visited it. Disclosure: This is a sponsored review, and whilst I never recommend anything I do not enjoy readers would bear this in mind. I spoke to Plamen who is the partner of Hilda Kazasyan, the owner. Hilda is the most famous jazz singer in Bulgaria and you should be able to hear some of her music in the restaurant. There is a warm and comfortable feel an open kitchen, three dining rooms, wooden furniture and a fireplace. 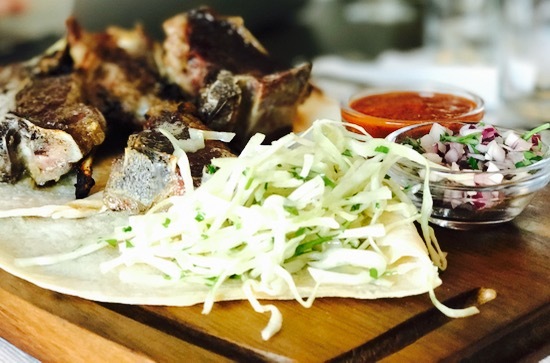 Egur, Egur’s menu focuses on home-made style dishes from the Armenian cuisine. You will see many familiar items on the menu, such as moussaka, lamb, grilled meats, but you will find them prepared with a different twist. The salads and vegetarian options as I get dozens of questions from my Bansko Blog and Bansko App followers about where in Bansko they can find vegetarian dishes. Egur, Egur has included a few vegetable dishes in the menu, so vegetarians are safe to come here. All the salads I’ve tried were really good and made with fresh vegetables. 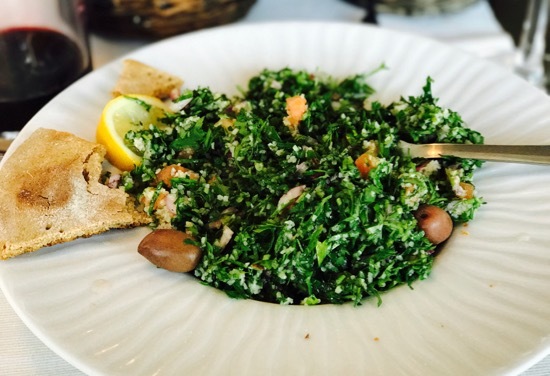 I am especially impressed by the tabbouleh salad, which was prolific in parsley and had the more healthy cracked wheat (bulgur). I also loved the beetroot salad, very refreshing with lots of lemon. 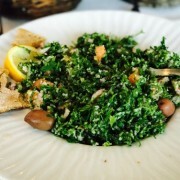 There are many more appealing salads on the menu, such as the spinach salad and also some traditional dips. Going on the vegetarian line of thought, I’ve tried the olive soup which I can recommend (tomato soup with onion and chopped olives). The starter list will surprise vegetarians with many options – crispy fried zucchini, fried aubergine and peppers with tomato sauce, aubergine with cheese and more. Worth mentioning are the notable Armenian parsley balls – called Kaygana – very tasty. I also liked Egur’s version of vine leaves – a bit different from the usual offering in Bulgaria. These vine leaves had raisins and a touch of cinnamon flavour. 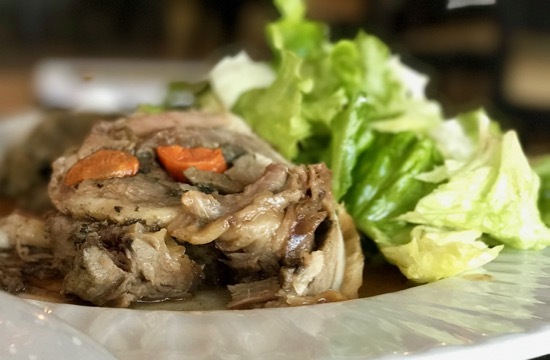 The meat dishes also have their prominent place on the menu, both as Armenian and Bulgarian dishes. The cabbage leaves with bits of meat were especially tasty. And so was the lamb roll. If you like duck meat then last time I was here I ordered the Egur duck — tender with a pleasant sweetness coming from the inclusion of dried apricots. The Armenian lamb roll is soft and tender lamb complemented by rice-with-kidney on the side and a fresh green salad. A perfect dish for the cold Sunday. It was enough to share — which we did. If you like tradition with a For the more conservative, there are all the grilled meats, meat balls, fish and pasta. Make sure you leave some room for dessert as there are options you cannot try anywhere else in Bansko. 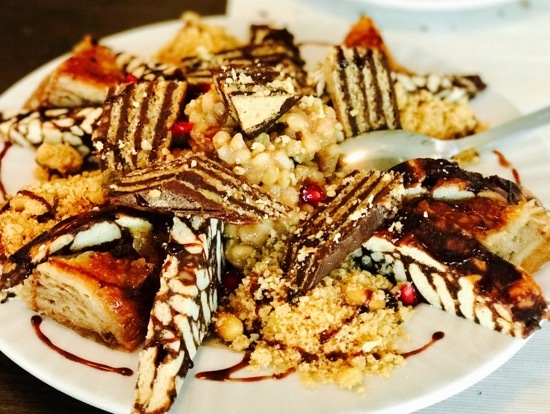 I was impressed by the selection I tried, quite new for me – Anoush abur (wheat in custard); “Sweet sausage” made of biscuits, butter and cocoa; baklava. Again for the more traditional diners – the always-good lava cake is there. But when in Egur, Egur, I would recommend you don’t hold back on the more peculiar options on the menu and you will be rewarded for your adventurousness. Egur, Egur is located in Perun Lodge Hotel, 1 Georgi Nastev Street, Bansko. To find Egur Egur and a wide selection of restaurants in Bansko, then download the Bansko App in Android and iOS. You’ll get this blog, the cams, speed, distance, piste map, piste opening, lift opening, sofia airport info, podcasts, emergency numbers and a lot more. It’s free and best of all you can join the in-app chat to get other Bansko visitors views as well as meet-up / ski with other like-minded folks.